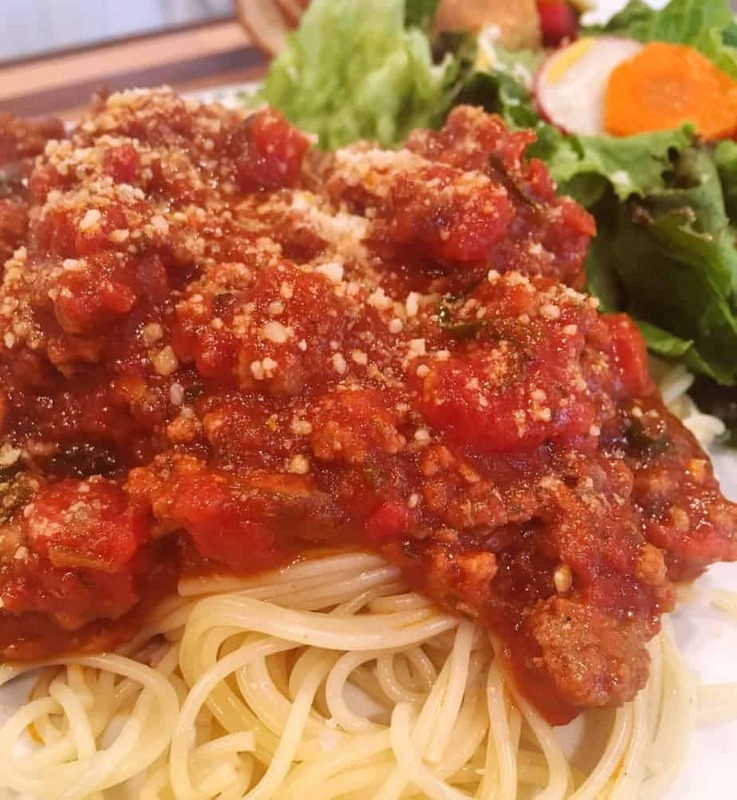 Spaghetti Sauce with Ground Beef is a favorite dish of families! 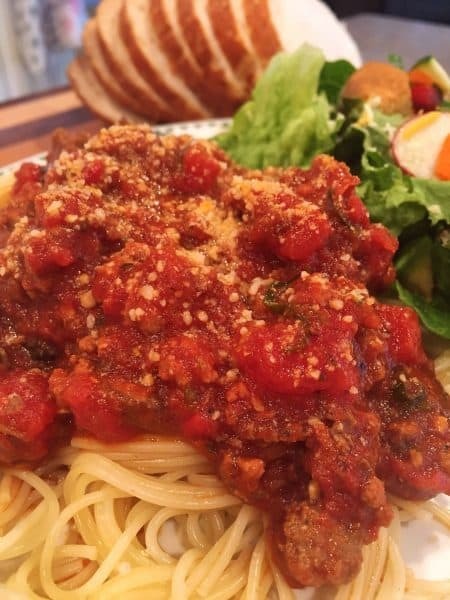 Thin spaghetti is topped with a thick rich homemade sauce, laced with hearty spices, and topped off with grated Parmesan cheese! For years my marinara sauce was just “so-so”. I’ll be honest…and own it. I didn’t know some really valuable tips. (Those Italian Mama’s hold on tight to those family recipes!) I’d buy store-bought sauce and just add hamburger…maybe a few little extra’s here and there. Nothing really special. Then one summer we had a plethora of tomatoes from the garden. 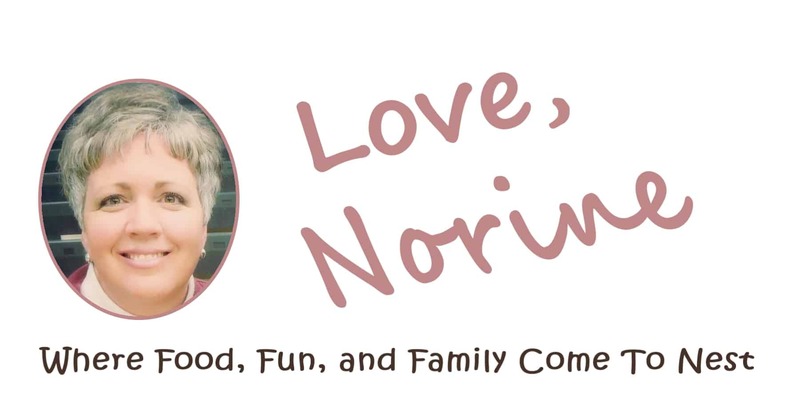 I searched to find a really great canning recipe for homemade sauce… and “BAM!”….Life Changed! FOREVER! 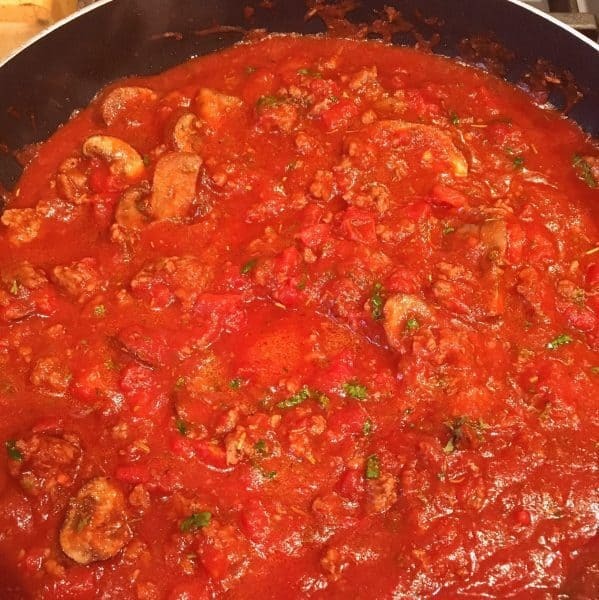 Let’s Change Your Life With This Homemade Spaghetti Sauce! 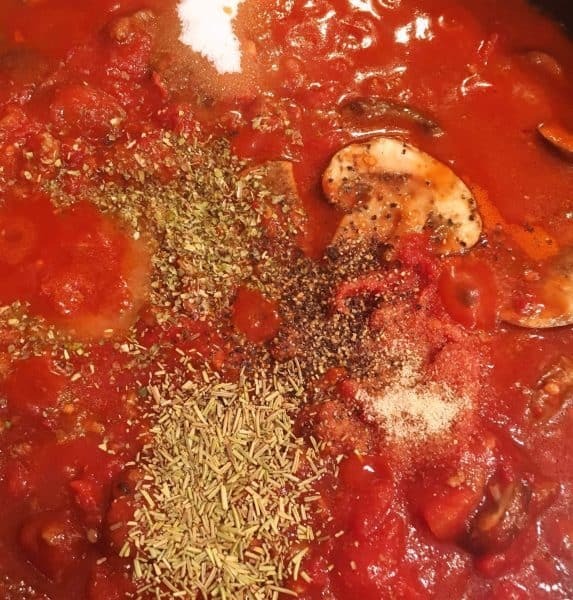 It makes a beautiful Marinara sauce without meat too. (Poor cow has nowhere to go now! Yes, I’m trying to guilt you into eating meat!) So let’s get started. Do not drain cooked meat. We want that oil in the sauce. Add 1 cup of water, 1 – 8 oz. can tomato sauce, 1 – 16 oz. can petite diced tomatoes, 1 – 6 oz. can tomato paste. In all seriousness if you are not adding meat… just add the above and continue to follow the recipe. I do this all the time and it turns out beautifully! Add 1/2 – 1 Tablespoons sugar. It depends on how sweet you want the sauce. TIP: This helps cut down on the acidity of the tomatoes. This is one of those little “secrets” I mentioned above. Add 1 teaspoon oregano, 1 teaspoon of crushed rosemary, 1/4 tsp. onion powder, 1/2 teaspoon coarse black pepper, 1/2 teaspoon salt, 1/8 tsp. red pepper flakes (optional), and two bay leaves. Add 1 Tablespoon dried parsley, or 1 1/2 Tablespoons fresh parsley. Add 1 Tablespoon fresh chopped basil or 1 teaspoon dried basil. I happen to L.O.V.E. fresh Basil! The smell is heavenly and so refreshing. So I try to always have it on had. Stir everything together and turn the heat to low. Allow sauce to simmer on the stove for 4 hours OR you can put it in your crock pot and cook on low for 4-6 hours. Stirring occasionally. TIP: This is the biggest secret I’ve learned…it’s all about the LONG simmer time! Those Italian Grandma’s know a thing or two! The sauce reduces down and the flavors condense and intensify! Prepare your pasta. I always recommend that you cook whatever pasta you are making al dente! This will allow the pasta to absorb the sauce. There is nothing better than pasta that has absorbed the luscious flavors of the sauce. Truly spectacular! TIP: I’ve found that the cook time instructions on the package of pasta, if followed correctly, makes for perfect pasta every time! 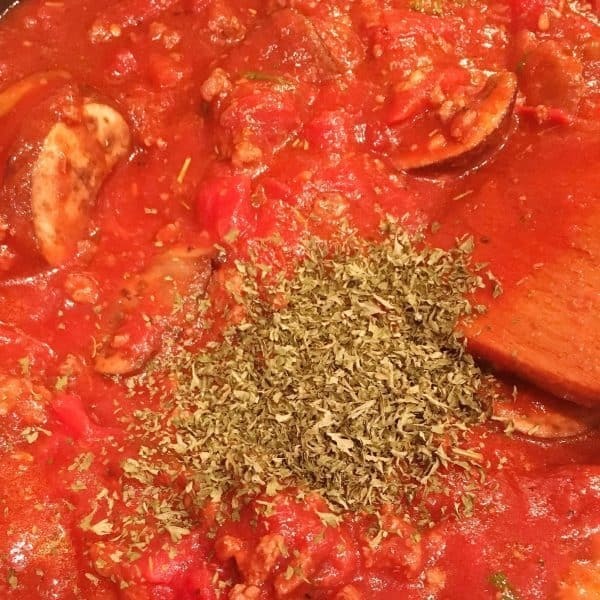 Pour that spectacular meat sauce over pasta and sprinkle with Parmesan Cheese! Now go find a fork and swirl away! Oh wait…maybe you’re a cutter and not a swirler? We like to swirl at this Nest! There’s just something about twirling pasta round and round and having the anticipation build! 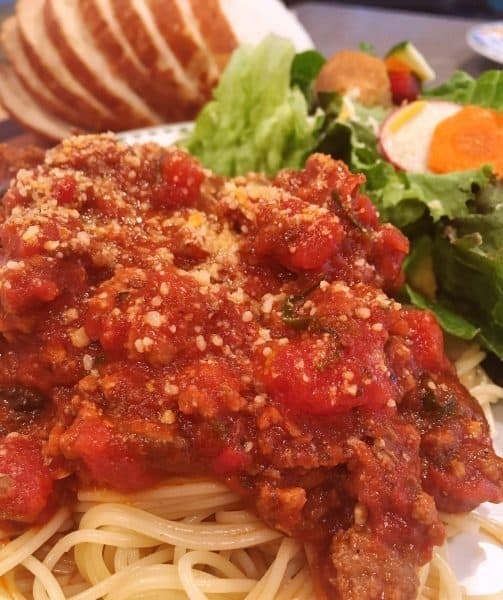 Serve this delicious spaghetti with a big garden salad and warm french bread. 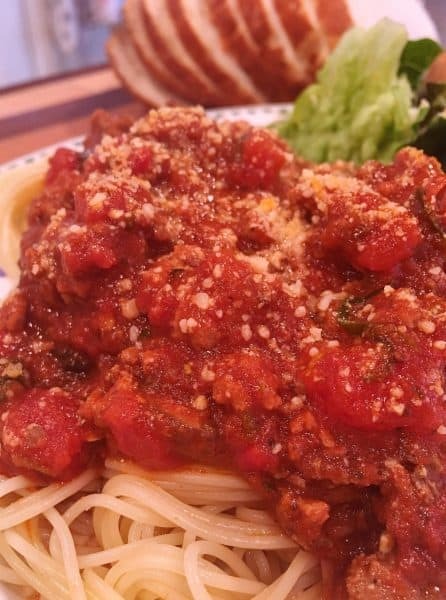 Let the rich meat sauce be the star of the show! 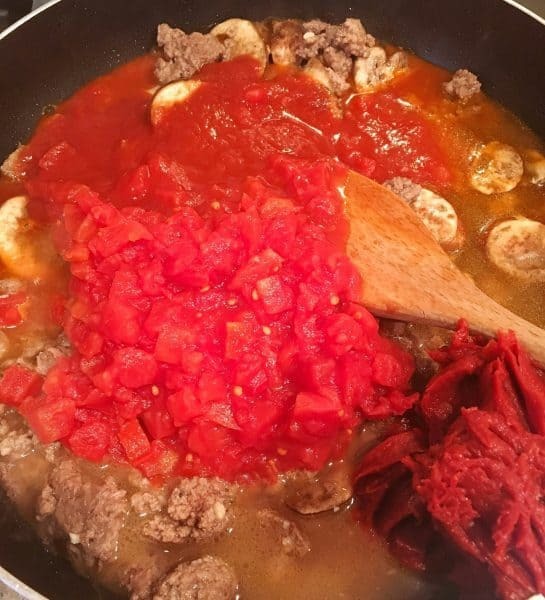 Before I learned how to make this spaghetti sauce my kids hated my spaghetti! (Gulp! That was hard to admit!) However…now I am the master of my spaghetti domain! Boo-yah!!! 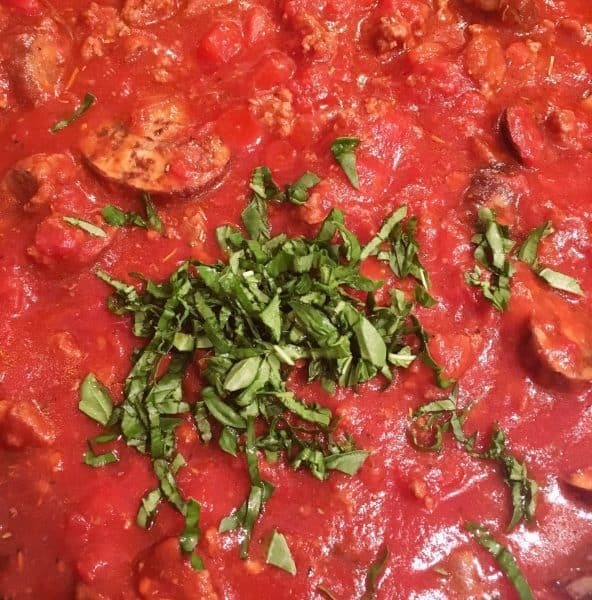 I hope this meat sauce is enjoyed by your family and friends. That you can be the Master of your Spaghetti Sauce domain! lol Bon Appetite! I’m also sharing this delicious recipe over on the Weekend PotLuck link party. 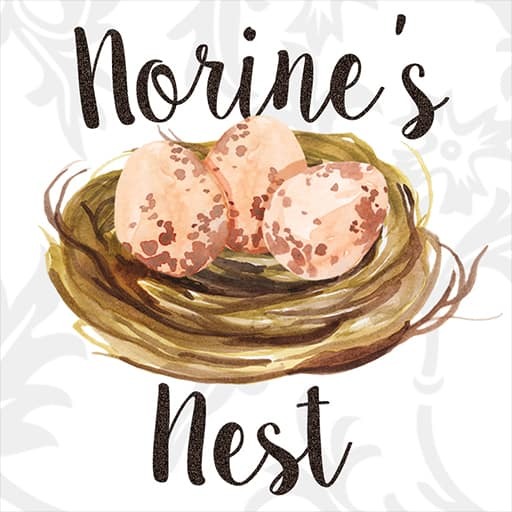 Stop by and check out all the delicious recipes. Have you checked out Meal Plan Monday? 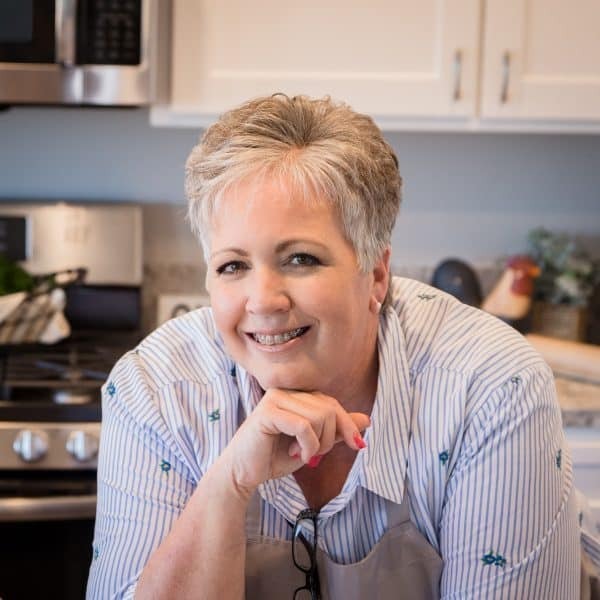 It’s another great link party with hundreds of new recipes every week. Click HERE to check out all the Yum! 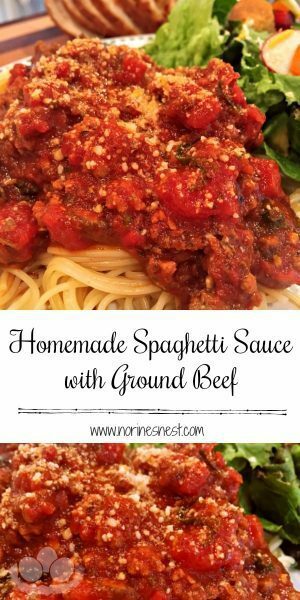 A rich hearty homemade meat sauce that is full flavored and delicious on your favorite pasta! It's the perfect sauce! In a large skillet, over medium heat, add 4 Tablespoons of olive oil and saute garlic for 1-2 minutes. 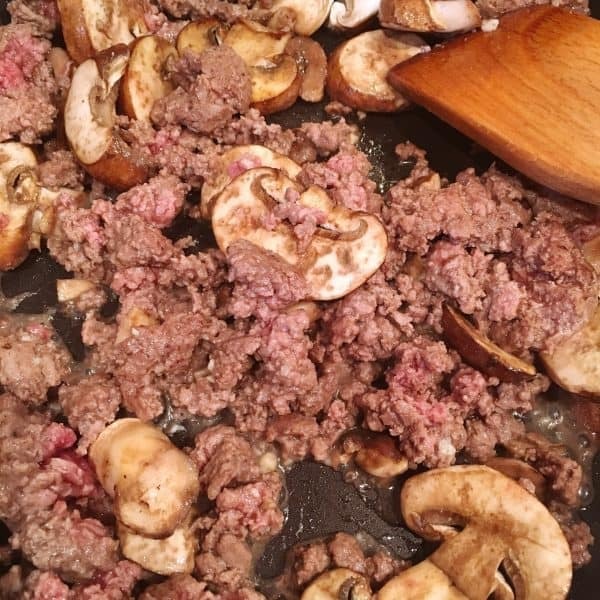 Add 1 pound of ground beef and 2 cups of mushrooms. Cook until beef is brown and mushrooms are soft. Add tomato sauce, petite diced tomatoes, tomato paste, and water. Stir well. Add in sugar, oregano, crushed rosemary, onion powder, red pepper flake, black pepper, salt, bay leaves, basil, and parsley. Mix well. Simmer on low, stirring occasionally, for 4-6 hours, or place every thing in a slow cooker on low for 6 hours, until sauce reduces and becomes thick. Remove bay leaves. Serve on top of your favorite pasta.